"Turkey in a war of words with the Netherlands" might not have been your guess for one of the big international incidents of 2017, but here we are. How mad is Turkish President Recep Tayyip Erdogan at the Dutch and German governments? Enough so that in the last week he's brought up the Nazis to refer to them. Oh, and there's protests in the Netherlands and there's talk of Turkey wanting sanctions against the Dutch. So let's back up. Erdogan and his ruling AKP party in Turkey are backing a referendum that's going to be held in April for a new constitution. The Turkish parliament approved the new constitution, which its critics say would put even more powers in the hands of the presidency, in January after a contentious debate. That's important because since an aborted coup attempt last July, Erdogan has been in the midst of a crackdown on supposed enemies, including teachers, lawyers, and journalists who've been fired, had their places of work shut down, or been arrested. Since the constitution passed in January, the race has been on to rally as many votes as possible for the new constitution, including among Turks living overseas. It was for that purpose that Foreign Minister Mevlut Cavusoglu intended to fly to the Netherlands on Saturday to speak at a rally of Turkish expatriates in Rotterdam. However, on Friday, Rotterdam authorities revoked his permit to address the rally, a move that led Cavusoglu to threaten sanctions against the Netherlands. "If the Netherlands cancels my flight, we will impose severe sanctions on them that will affect it economically and politically," he told CNN Turk. He decided to go ahead with his plans on Saturday and took off for the Netherlands. But before he could land, the Dutch government announced that it had revoked his plane's flight permit, citing safety concerns over the crowds that were gathering. This is all taking place as the Netherlands is itself just days away from an election in which the campaign has focused on anti-Muslim sentiment. "Many Dutch people with Turkish heritage are voting in the referendum on the Turkish constitution," Dutch Prime Minister Mark Rutte wrote in a Facebook post announcing the decision that Cavusoglu couldn't land. 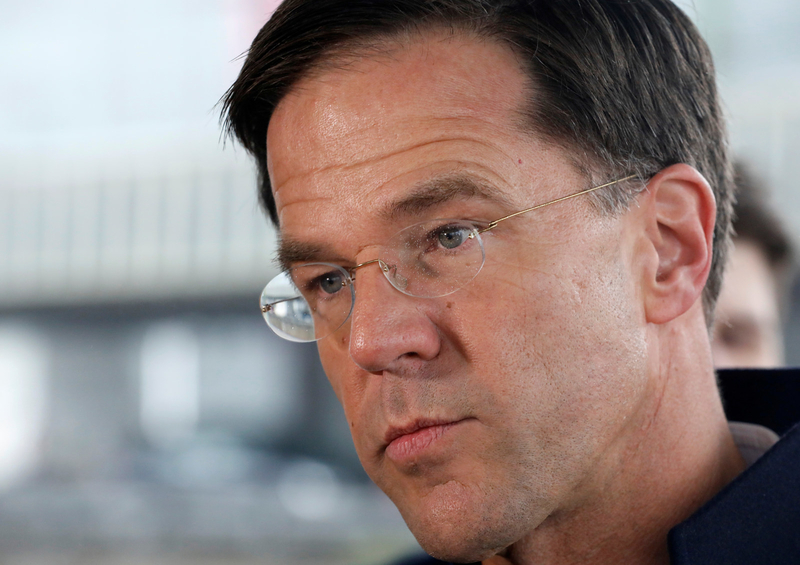 "The Dutch government has no objection to meetings in our country in order to inform them about that." "But these meetings cannot contribute to tensions in our society and everyone who wants to contribute to an event must comply with instructions from the authorities so that public order and security can be guaranteed," he continued. "It should be noted that, in this respect, the Turkish government does not want to respect those rules." 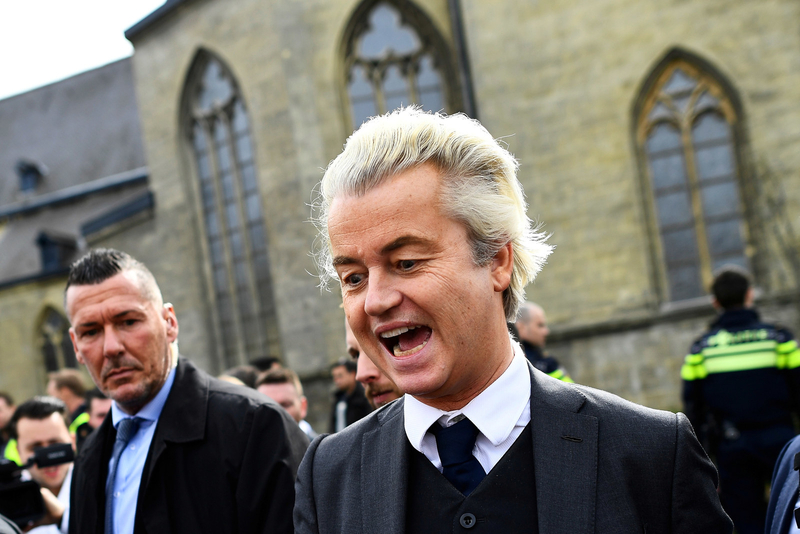 Far-right politician Geert Wilders, who has campaigned on a platform of anti-immigration sentiments and denunciation of Muslims, claimed credit for the Rutte government's decision to block the Turkish foreign minister's plane. Needless to say, Turkey was pissed. "They are timid and coward," Erodgan told a crowd in Istanbul on Saturday. "They are Nazi remnants and fascists." It wasn't just members of the AKP who were upset. Opposition CHP party leader Kemal Kilicdaroglu agreed with the foreign minister that sanctions against the Netherlands might be in order. Crowds soon began to gather outside the Turkish consulate in Rotterdam to protest against the foreign minister's exclusion. And it got a little noisy with so many people gathered. On Sunday, Turkish Prime Minister Binali Yildirim said in a statement that Turkey would retaliate in the "harshest ways." "This situation has been protested in the strongest manner by our side, and it has been conveyed to Dutch authorities that there will be retaliation in the harshest ways ... We will respond in kind to this unacceptable behavior," Yildirim said. Meanwhile, a separate drama played out when the Turkish family affairs minister was escorted out of the country after crossing via land from Germany in an attempt to also address a rally. "Netherlands is violating all international laws, conventions and human rights," Minister Fatima Betul Sayan Kaya tweeted. This is the second flare-up of tensions between Erdogan and a European leader over the referendum back in Turkey. Earlier this week, it was Germany that was fighting with the NATO ally. There are 1.5 million Turks in Germany who are eligible to vote in the referendum and German municipalities have been canceling rallies over the last few weeks, over what local officials said were issues related to overcrowding. Erdogan, as we said at the beginning, accused Germany of using "Nazi practices" in order to block him from campaigning. "I thought that Nazism was over in Germany, but it turns out that it is still going on," he told state-run Andalou news agency last weekend. "It is still going on, it is clear." As you might guess, Germany is still a little sensitive over the whole Nazi thing. German Chancellor Angela Merkel called Erdogan's statements "unacceptable" and "misguided." Back in the Turkish capital of Ankara, the government is blocking off the Dutch Embassy and consulate and has barred the residences of the Dutch ambassador, charge d'affaires, and consul general. "We do not want the Dutch ambassador, currently on leave, to return to his post for some time," the Foreign Ministry said in a statement. "It has been explained to our counterparts that this grave decision taken against Turkey and the Dutch-Turkish community will cause serious problems diplomatically, politically, economically and in other areas."